↑ Fletcher, R. A. (1984). 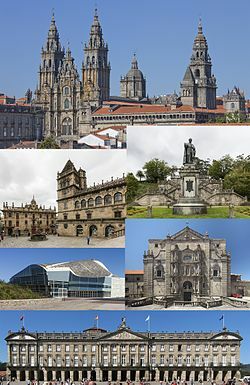 Saint James's catapult: the life and times of Diego Gelmírez of Santiago de Compostela. Oxford [Oxfordshire]: Clarendon Press. पपृ॰ 57–59. आई॰ऍस॰बी॰ऍन॰ 978-0-19-822581-2. 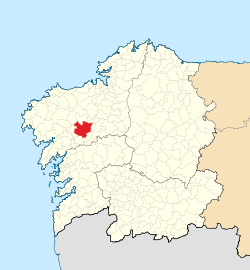 ↑ "ESP LA CORUÑA - SANTIAGO DE COMPOSTELA". Centro de Investigaciones Fitosociológicas. अभिगमन तिथि 2011-10-07.